I'm starting the weekend off with a giveaway! All you have to do is follow my blog and leave a comment at the end of this post. This giveaway will close on March 22nd at 11:59 pm et. This giveaway is open to US and Canadian mailing addresses. My doggie would thank you if I won. :) I'm a follower - thanks! I'm a new follower. Thanks for the chance! New follower (found you from Sew Tara's blog). Great giveaway! Luv that you're featuring pets this month!!! I have followed you for a while now! how great! I follow you via GFC. I'm a new follower also -thanks for the giveaway! 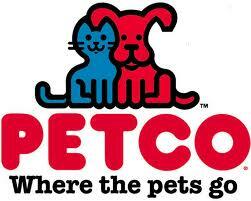 Have two cats and love Petco. I'd love to win because I have 2 dogs,5cats, and 2 sugar gliders. And, They all LOVE to eat!! I am subscribed on google reader! Thank you for this giveaway! I'm a follower with two dogs who would love to win this give card. GFC Follower. Thanks for the chance to win! I am following you in google. Buttercup and Fancy would love to get something from Petco. OMG the best!!! Where i have to shop all the time. I have 5 small dogs and two have allergies and I have to buy that expensive food...oh gosh this would help so much!!! Thank u for the opportunity!!! GFC has kicked me out 3 times, your is not the only blog...errrr GFC!! When I got here I noticed my name not showing up...at least I caught it!! tyvm! following your blog :) Now this is what I call a super giveaway!! And thank you so much! "From Furrin" is now following meremade via GFC. Thanks for the giveaway. I'm a new follower via GFC, thanks! Following your blog, thanks for the giveaway.